Pics: Babes Wodumo and Ntando strip down for their new song! November 13, 2017 Entertainment SA 0 CommentsPics: Babes Wodumo and Ntando strip down for their new song! 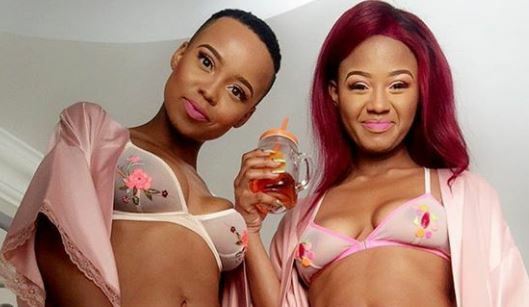 In case you were wondering why Babes Wodumo and Ntando Duma were always posting pics of themselves in their underwear, now is the time to get your answer. It’s because the pair were working on their musical collaboration for a while now. Now, we finally get to hear the full track for their song, Jiva Phez’kombhede. And it’s filled with the gals in their underwear. On a bed. Jumping around. Justin Beiber’s alleged outlandish demands for his tour in India cause a stir on social media! ‘’#Tito Mboweni is trash,’’ says Ifani on Cassper Nyovest’s latest single.